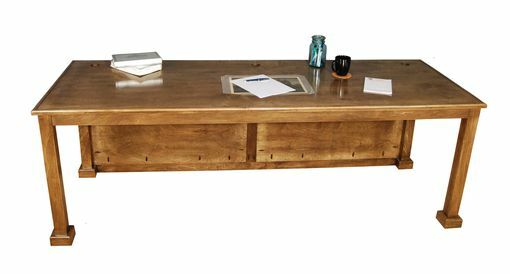 This Birch home office desk is a simple but functional office desk. It has flat panels for the front and is open on the sides and back. 3 holes for cords and wires have been cut into the top for ease of access to power for lamps and computers. It has been stained a walnut color for a professional and classic look.